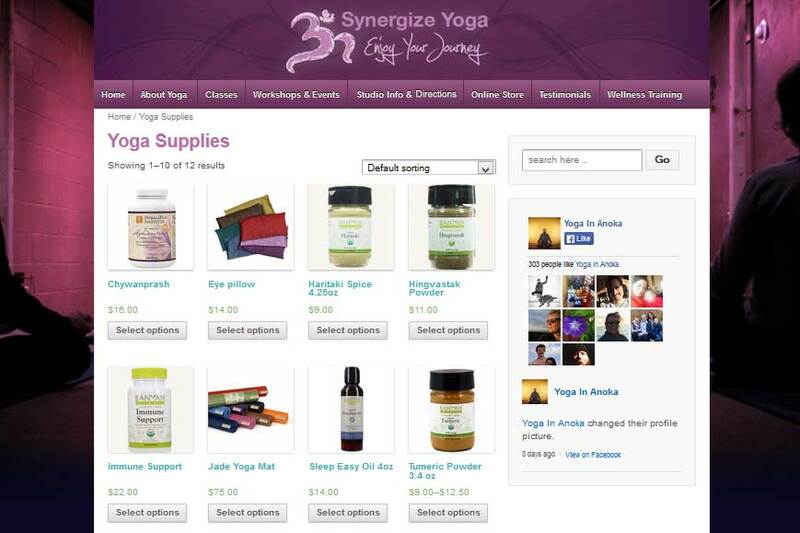 Kamie from Synergize Yoga was referred to me through another client. Her website had been hacked and she had no way of restoring it. Using what information I could save from her server files and using the internet archive to fill in the gaps, I was able to a complete site rebuild for her. Instead of just reviving the site as it was, I breathed new life into the site, changing its look and feel. Eventually, we added a store for her clients to purchase packages online using WooCommerce, including products and gift certificates. In addition to web design, I also help Kamie maintain a steady stream of social media updates, copy-edit her promotional material and blogs, and provide assistance with her membership portal for online video sessions. 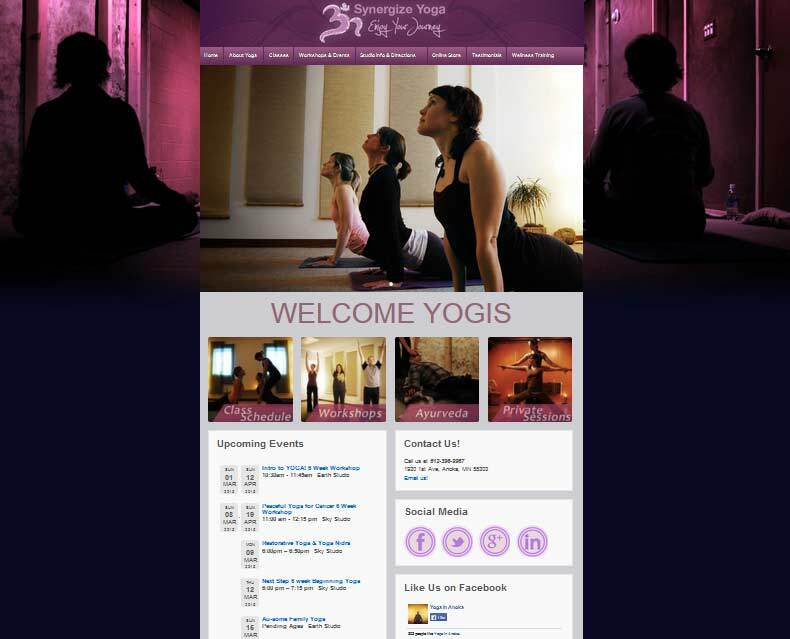 We are currently working on creating a sister site to Yoga in Anoka.